Too small, great for indoors or outdoors with ZERO wind, and limited in future hobby use. Buy one of those and nothing can be used in other planes. Better to spend a little more and buy a TT and cheap or second hand Radio which you can use, on future planes. A easily repaired plane will be a definite requirement. Cute plane but really as close as damn to a toy! Thanks, will keep looking. They also offer the yellow one that Josh Bixler and Josh Scott reviewed. @danbob how is it on belly landings and how are the landing gears? The landing gear works ok, but to be honest you dont need it, i have taken mine off, the plane is so light and spongy you can literally nose dive it into the ground at full pelt and the worse will happen will be the motor pushs back out of the foam slightly, but is an easy fix with a little glue. Awesome, I was showing my dad how the Europeans love the plane on European Amazon and no one on the US Amazon likes it. Sounds fine to me and great price. $58.99 with high dollar digital controller it looks like. If you have the extra $25, the Champ is a better choice. 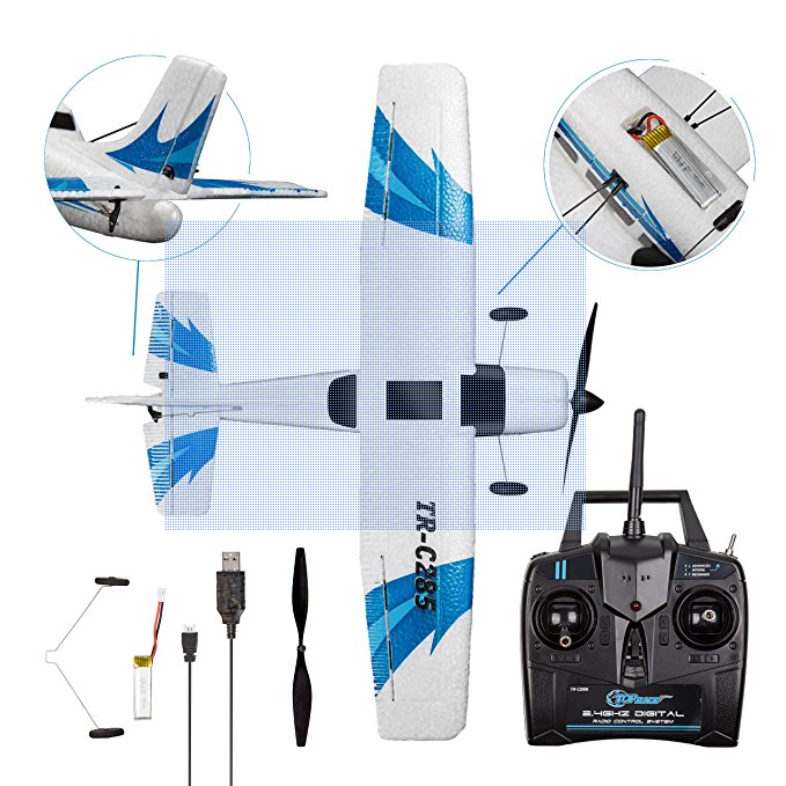 It is known to fly well, has spare parts available, is repairable (foam safe CA or hot glue), and as a Horizon Hobby product you can use the electronics with other dsmx radio protocol transmitters & receivers. And lots of people here have come that route & can help you. If $75, is where you need to stay, then buy the one you found & enjoy! I would fly early in the morning when there's little wind. A baseball diamond will let you take off from the ground. I know more about the Champ, from watching the Double Joshes review it, when I saw it offered for a great price, then what another person said, make sure to have a controller that can work with other planes, which the Cessna has, looks to be digital. My dad is also saying, make sure we can get parts, which the Champ offers easily. All three look great, our drive way at the farm is about as rough as the cement run way Flite Test uses at their shop, grass has pot holes from cows getting loose, and still not staying level, same at the ball park, not sure what happened there, but also very rough. 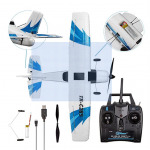 Something to consider is, if you plan to stick with the hobby, you will save money in the long run if you get a model that has a "standard" transmitter so you can buy another aeroplane without buying another transmitter. Most of these transmitters are a lot nicer, too. Yes, it'll be more money up front, but you can save money in the end. I'm not sure the best way to do this with a pre-built airplane, as everything I fly is scratch-built. I do know that for around $100 you can get in the air with an FS-i6 transmitter and an FT-style scratch build. And when you crash the heck out of that scratch build, you can just build something else and you get a whole new flying experience. However, I can understand that not everyone likes scratch building and may want something they can take out of the box and fly. It is my perception that Spektrum is a bad idea for people on a budget. They are like Apple, you pay for simplicity and ease of use. I can't recommend enough that people avoid them unless they have the money for their higher end radios. The FS-i6 is 10 times more capable than any Specktrum at that price point. looks like it will be the Champ. If it can survive the strange weather of Ohio, surely it can survive in Kansas.